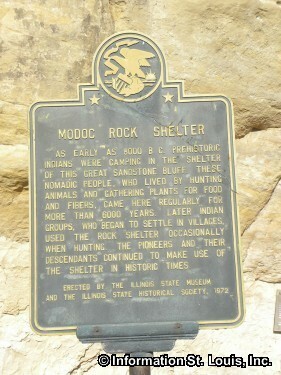 The Modoc Rock Shelter was created by the undercutting of the rock bluffs by the Ice Age Floods. The Shelter was first used over 9,000 years ago by Native Americans for shelter. Today, 28 feet of sediment that has been deposited by the repeated flooding of the Mississippi River has filled in the the shelter. Archaeologists have found plenty of artifacts that span over 6,000 years in those layers of sediment. These artifacts show that the shelter was used for short-term stays, possibly by hunting parties, as well as periods of long-term use by several families. 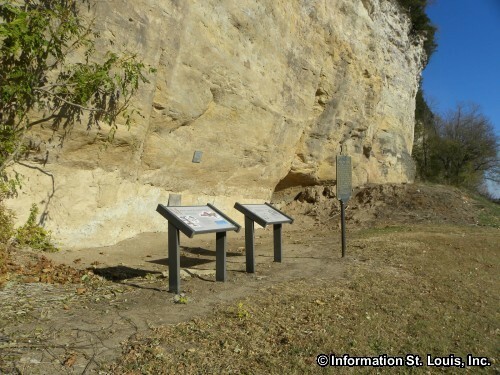 Just like in the past, the bluffs are still used to provide shelter today. 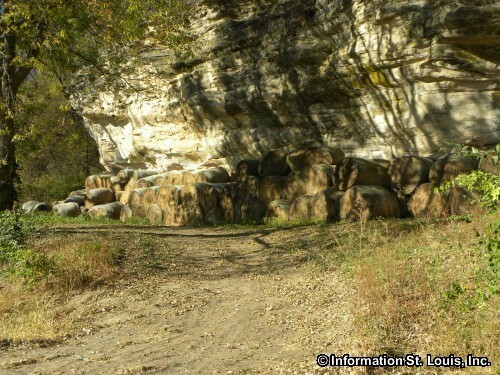 Bales of hay can be seen placed up against the bluffs for protection against the elements and some buildings have even been built into the cliff, using the cliff as one side of the building. 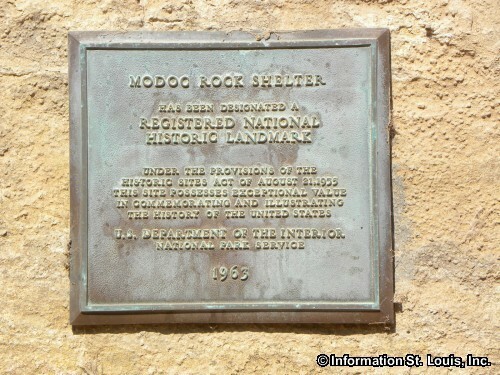 The Modoc Rock Shelter is a Registered National Historic Landmark. 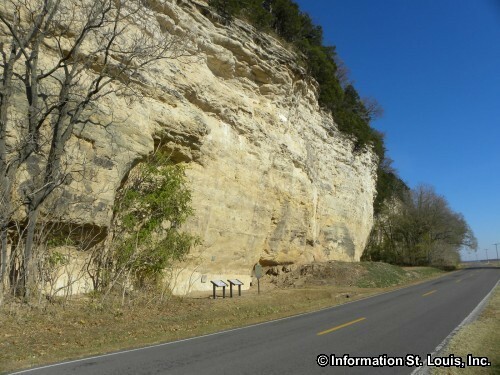 The Modoc Rock Shelter is located along Bluff Road in Randolph County Illinois, 2 miles southeast of Prairie du Rocher, near the small village of Modoc Illinois. There is no admission charge to visit the site. The cliffs are still providing shelter today!